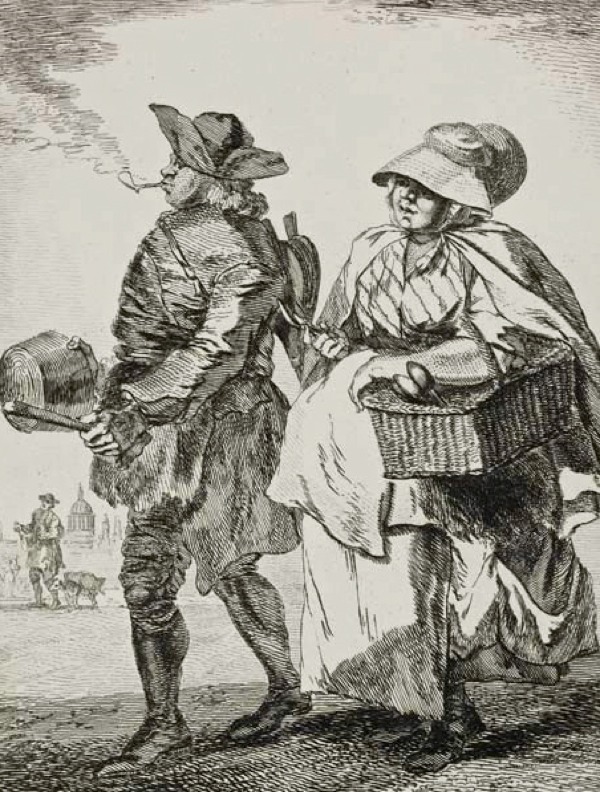 Observe this young woman displaying her raree box containing the views of Paul Sandby’s ‘Cries of London Done From Life’ while, in the background, the artist is seen carrying packets of his prints back to his house in Carnaby Market, Soho, where he sold them directly to customers from the door – becoming a hawker in his own right. 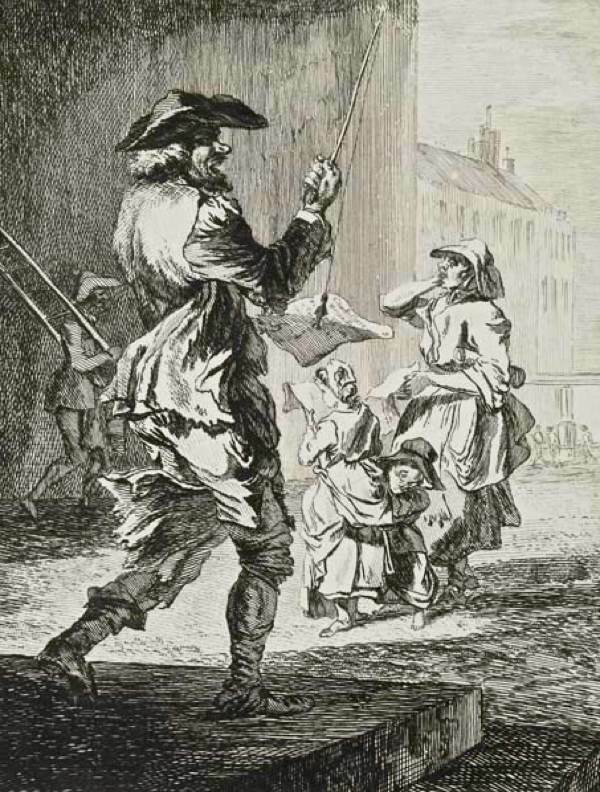 Celebrated with his brother Thomas as a landscape watercolourist, Paul’s hundred or so sketches of London street traders – of which just twelve were issued as engravings, reproduced here from the set in the Museum of London – proved to be a misdirection in his career, yet they are distinguished by a greater social reality than any artist had brought to prints of the Cries of London before. Both Paul and Thomas trained in military drawing at the Tower of London. Then Paul assisted in the surveying of the Highlands of Scotland after the defeat of the Jacobite Rebellion and began to paint landscapes in his spare time, before moving to live with Thomas in Windsor Great Park where his brother had been appointed Deputy Ranger. Over a decade there, Paul established himself as a consummate landscape painter with his views of Windsor, winning the admiration of Thomas Gainsborough for his accomplished work. 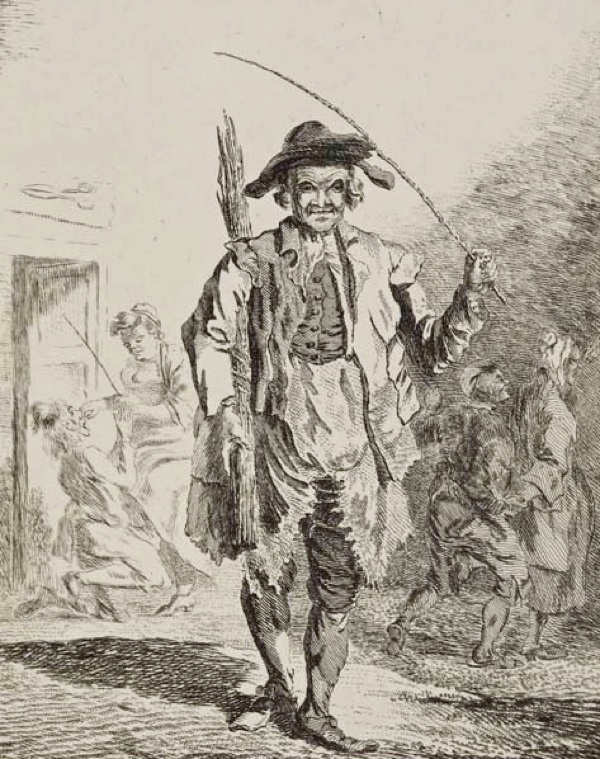 In 1760, Paul moved to London and set up house in Soho upon his marriage, and his set of Cries may be understood as his response to the city after years in Windsor. 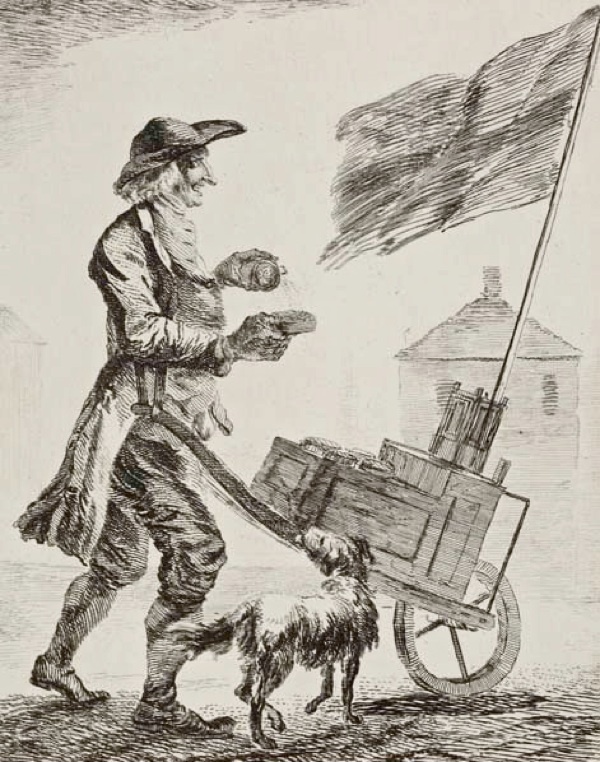 He saw with the eyes of an outsider to London and, perhaps, his military training encouraged a certain objectivity and lack of sentiment regarding hawkers. 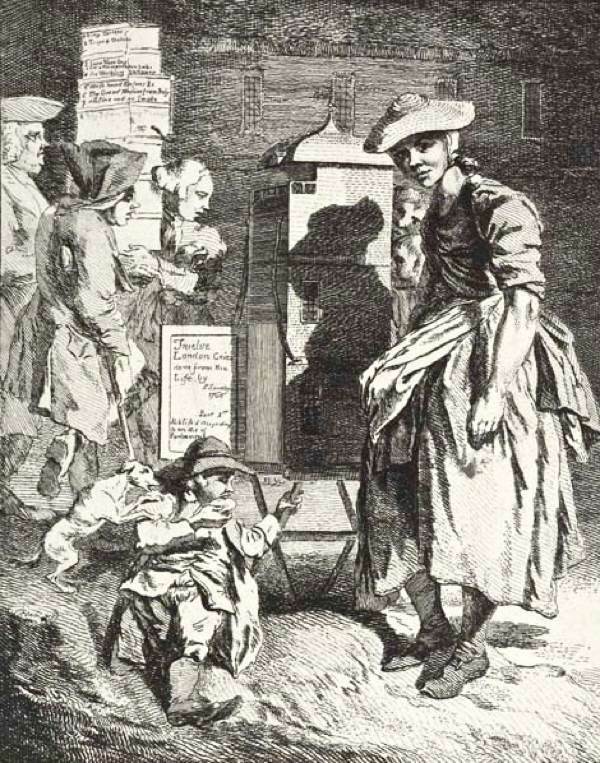 In Scotland, he mapped the land as part of the subjugation of the rebels and, now in London, he mapped the underclass of street traders with new realism. 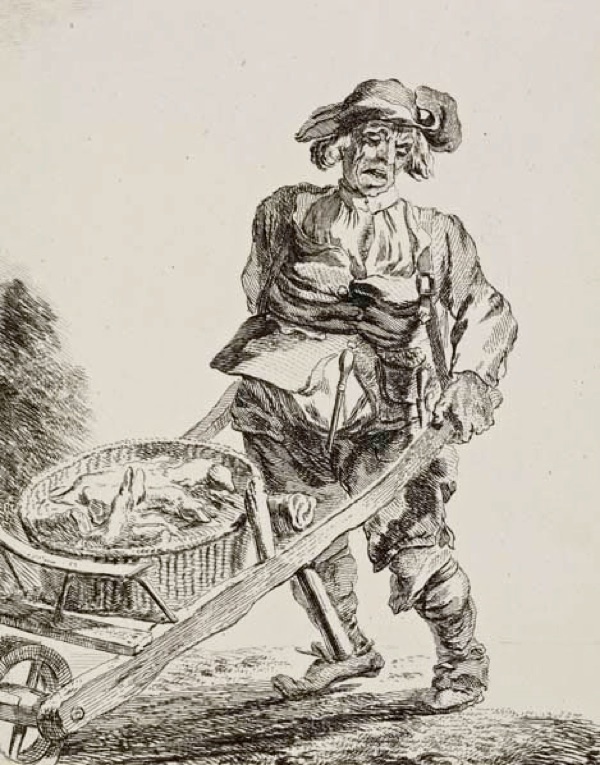 These are the first set of the Cries in which the traders as portrayed as filthy and there is no doubt that the mackerel seller would have smelled foul too. Each of these sellers is a portrait of an individual, not just a social type as was the case in earlier series but, more than this, we have characters placed in a dramatic relationship to the world and, in many cases, stories that tell us of their circumstance. Far from merely picturesque, these hawkers confront us in ways that we might choose to avoid. 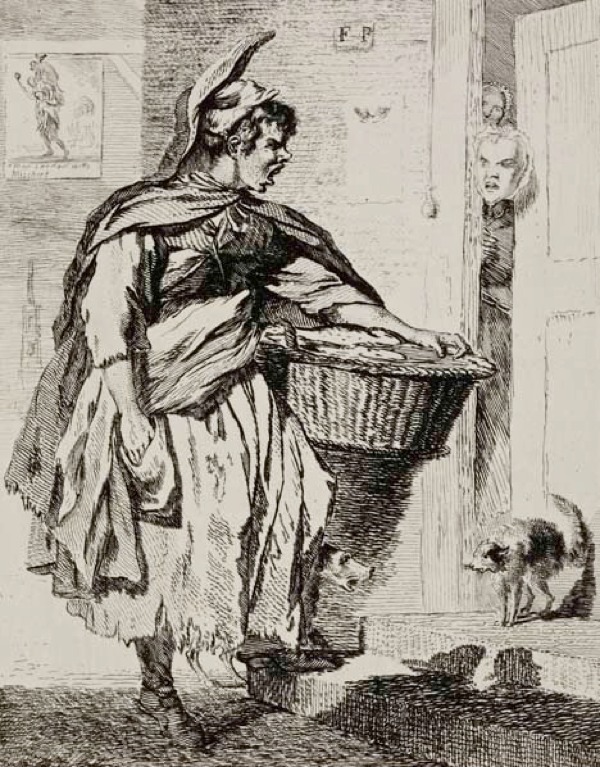 The ballad seller proffering two parts of ‘Kitty Fisher’ was known to work with a pickpocket, while the seller of switches for the distribution of domestic punishment raises his arm as if he is about to lash out at us. 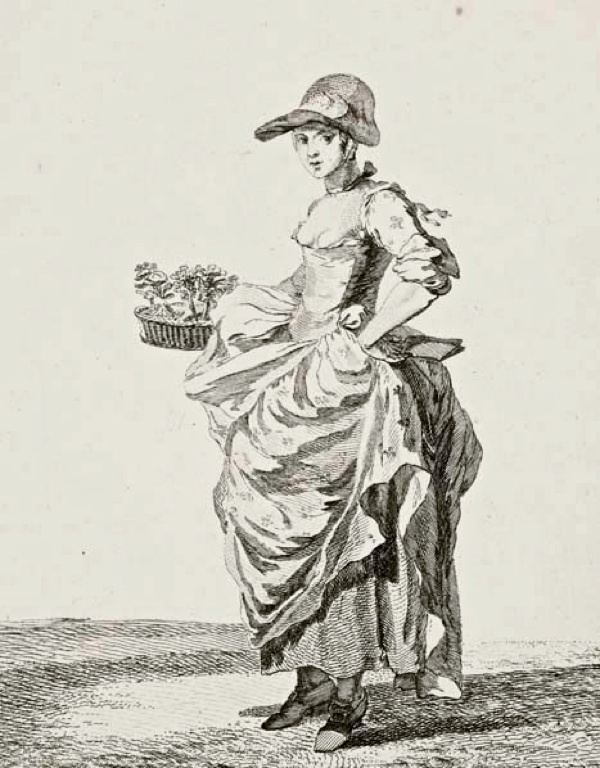 The provocation offered by the low-bodiced woman offering nosegays and notebooks is overtly sexual, and her expectant posture turns the use of ‘Your honour’ into a challenge. Yet the lack of sentiment does not ever reduce Paul’s subjects but, rather, grants them power and independent existence beyond his portrayal. 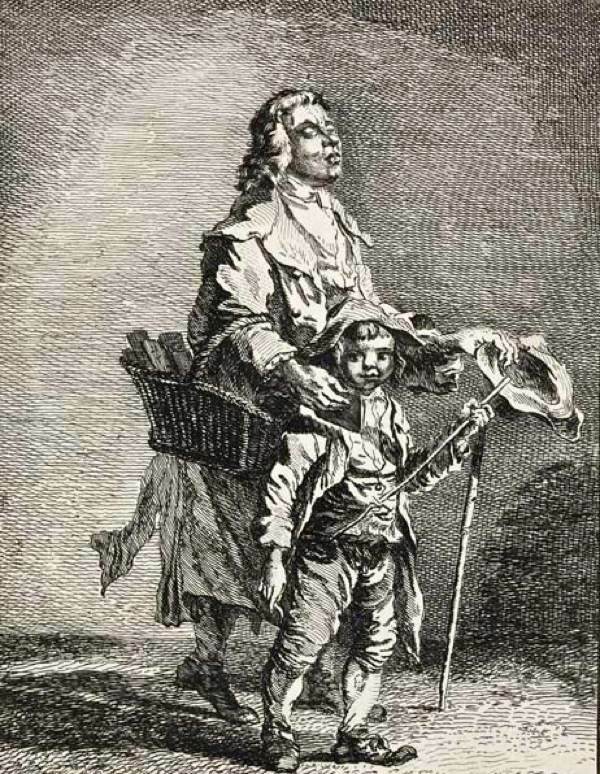 No longer rendered as the amusing curiosities of earlier Cries, these hawkers are the first to demand our respect. 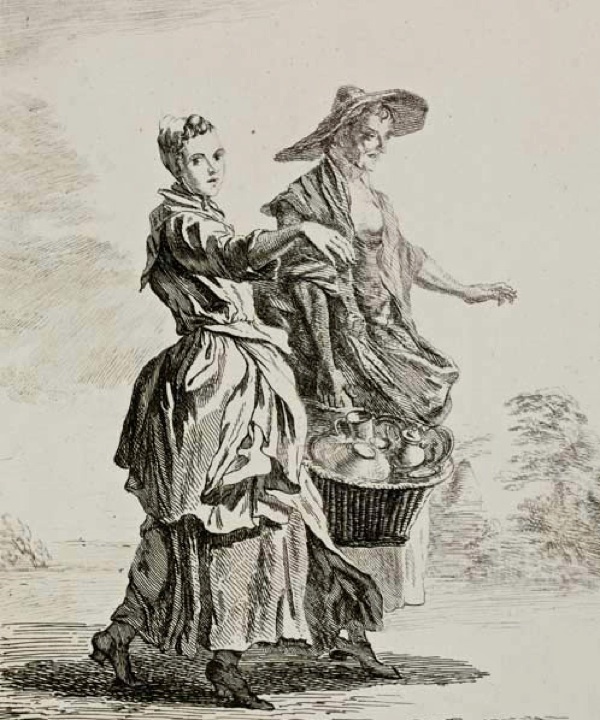 While, in life, we might take detours or do almost anything to avoid them, these prints offer a more complex and troubling political relationship between sellers and buyers than had been described before. 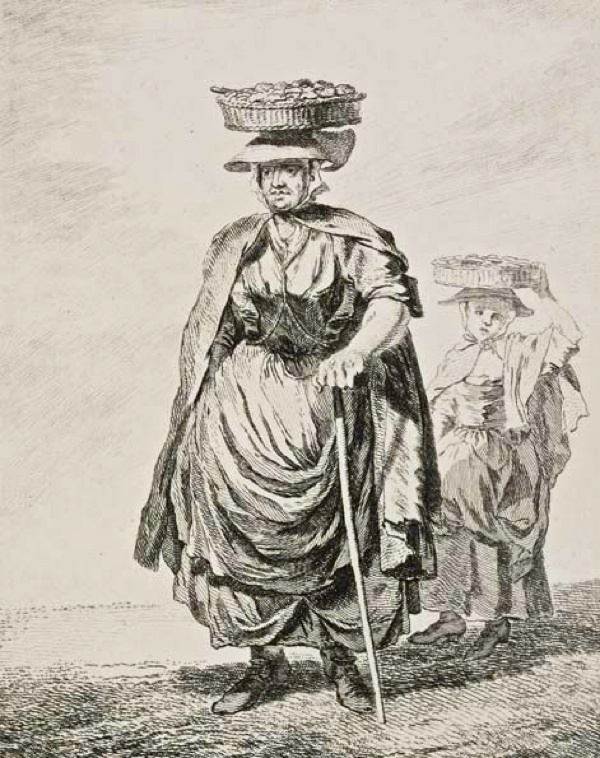 Unsurprisingly, Paul found that the public did not warm to his realistic portrayal of this urban social landscape with the same enthusiasm which they responded to his naturalistic rural landscapes. 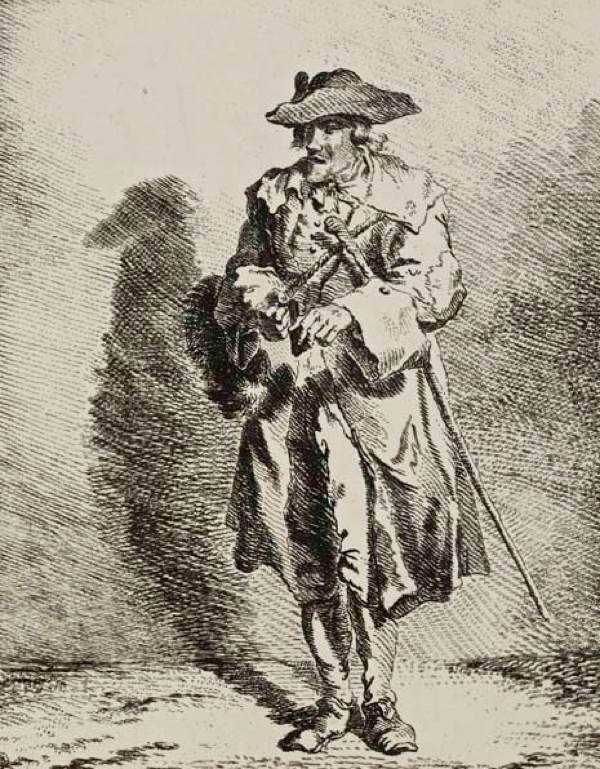 Beyond the set of twelve engravings, none other of the hundred sketches were ever turned into prints. 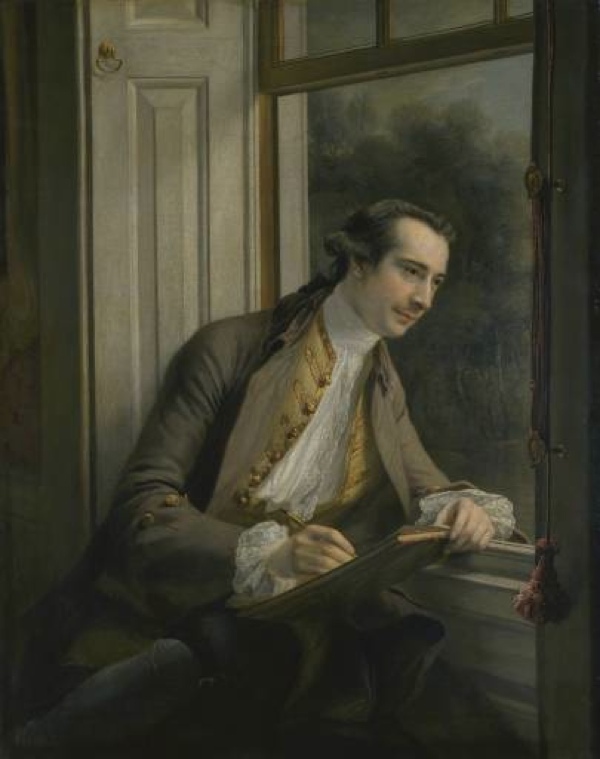 In 1760, Paul displayed his rural landscapes as part of the Society of Artists which became the Royal Academy when it was incorporated by George III in 1765, with Paul chosen to be one of the twenty-eight founder members in 1768. 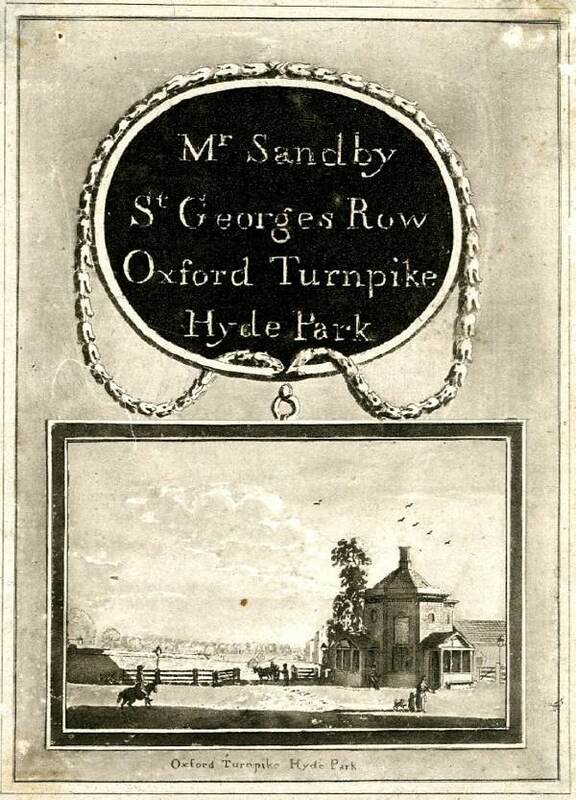 For the rest of his career, Paul sublimated his figures to landscapes, existing as polite adornments to add scale to the majesty of scenes which established his reputation as the father of English Landscape Painting – but he never did better figure drawings than in his characterful and raggedy Cries of London. All fire and no smoke. fascinating to compare these with ( Huguenot ) Marcellus Laroon’s set. Much closer to life than a lot of cries pictures. Was the cat spitting at the aggressive mackerel seller or spraying on the door ?